Aquarists at Bristol Aquarium are celebrating after the birth of 26 baby sharks, with more due to hatch out soon. 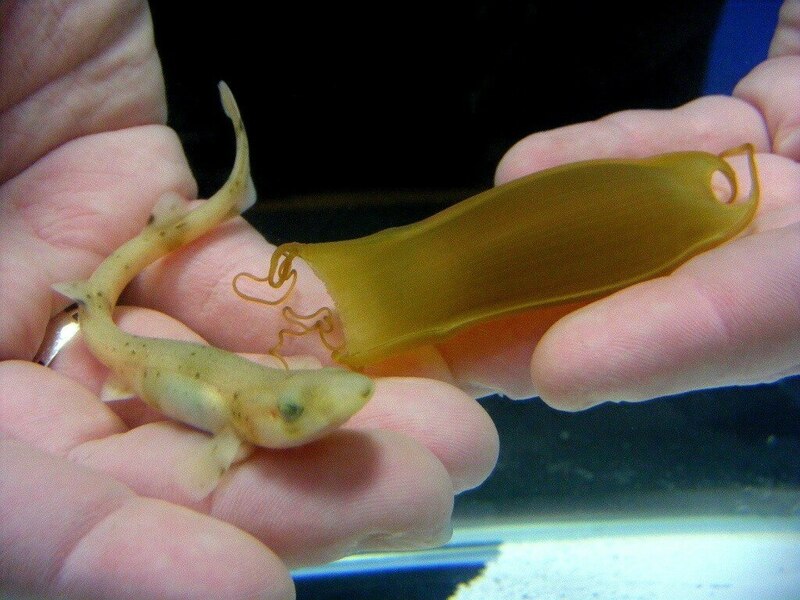 The tiny sharks, members of the native catshark family, are thriving in a special nursery tank at the aquarium – safely away from the attentions of their larger cousins – after being collected from the ocean display by divers. Staff at the Harbourside attraction say they are expecting even more births over the coming weeks and put much of the extraordinarily high success rate down to the attentions of university student Matt Blee. Matt, who has been nicknamed the ‘Catshark King’ by colleagues, is a third year student at Exeter University studying Biological Sciences and is currently on a placement at the aquarium. 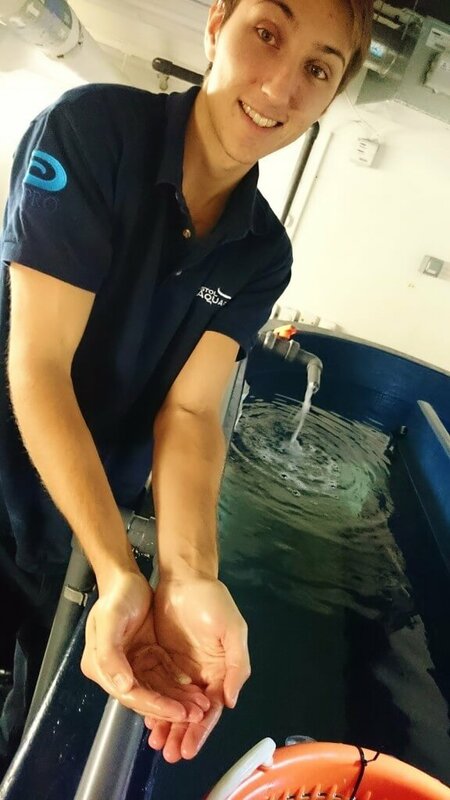 Matt has been tending to the baby sharks on a daily basis as part of a university research project into the environmental preferences for juvenile catsharks. Displays Supervisor Olivia Orchart said: “Matt’s care and attention has undoubtedly had a positive effect on the number of egg-cases which have successfully hatched out. “Of the 50 viable eggs we were able to collect to have a hatching rate in excess of 50% is highly unusual. “As they get closer to hatching you can clearly see them wriggling about and trying to find a way out. Once they do finally emerge they are pretty much fully formed miniature versions of their parents,” she added. Young catsharks are about 10 centimetres long when they eventually hatch after spending up to 11 months developing inside the egg-case. “Having the opportunity to observe and look after such a large number of baby catsharks on a daily basis has been fascinating and extremely valuable for my university studies,” said Matt. Issued by Bristol Aquarium. For more information and to arrange pictures, interviews and filming opportunities please contact Hannah Worrall or Olivia Orchart on 0117 929 8929.